Hi, I’m Brenda, the self-professed Junque Junkie. 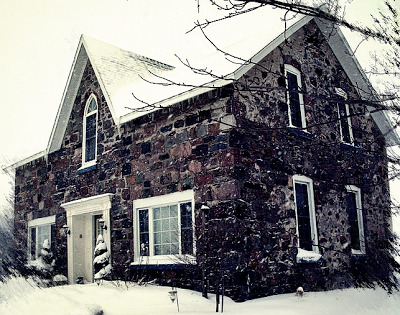 I live, with my husband and an assortment of animals, in a c.1850’s fieldstone farmhouse (that we’ve been renovating since forever) near the middle of nowhere in southwestern Ontario, Canada. I think I’ve been making things since I was born and come by it honestly, growing up in a home where it was ‘normal’ to be creative. It was not unusual for me to rearrange my bedroom in the middle of the night, trying not to wake up my parents by dragging my bed across the room. I think anyone can be creative and think outside of the box when it comes to your home and lifestyle. Decorating should be about what you love, I feel strongly that your home should tell your visitors a little about you. Follow me on Instagram to see my latest posts.